Johann Baptiste Maximilian Reger was born in Bavaria on the19th March 1873. His talent for music was quickly recognised by his parents and he began studying the piano at the age of six. He became a highly skillful pianist and organist and a brilliant music theorist. Like Bach and Mozart, he was able to complete musical compositions in his head and write them down without making any notes or drafts. His earliest surviving composition is a string quartet written the age of fifteen. He was drafted into the army in 1896, and this experience was so traumatic that it brought him close to a complete nervous breakdown. He returned to his parental home to rest in 1898 and there became a highly prolific composer. His family moved to Munich in 1901, where he met Elsa von Bercken. They married in 1902. Reger was a catholic, but Elsa was protestant and a divorcee, and the consequence of the union was that Reger was excommunicated. Despite this setback the marriage was successful and happy. In 1905, he obtained an appointment at the Munich Academy of Music as Professor of counterpoint, composition and organ. However, he resigned one year later following disputes with the predominantly conservative senior staff. In 1907 he moved to Leipzig to take a post as professor of composition at the university, and at this time he was active internationally as a conductor and pianist. He was appointed conductor of the court orchestra at Meiningen in 1911. He held this post until 1914 when he resigned to concentrate on composition. Reger never had a strong constitution and his work as a freelance conductor, pianist and composer was undoubtedly stressful and taxing. He died from a heart attack while on a concert tour in Leipzig in May 1916 at the tragically early age of forty three. 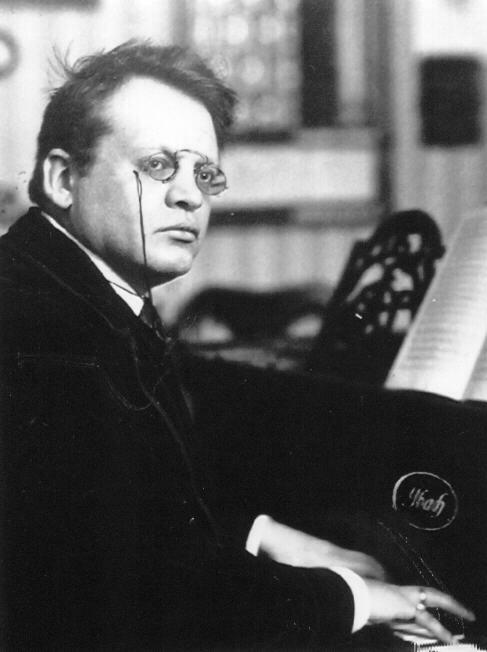 Reger produced a large output in all genres, nearly always in abstract forms. He was a firm supporter of absolute (as oppose to programmatic) music and saw himself in a tradition going back to Bach, through Brahms, Schumann and Beethoven. He assiduously pursued Brahms' technique of continuous development and free modulation, often also employing the contrapuntal techniques of Bach. The main characteristic of his music is a great energy and complexity of thematic growth. In his lifetime he was regarded as the equal of Richard Strauss. Now he is chiefly remembered for his organ works. Of his orchestral pieces, his two sets of symphonic variations one on a theme of Hiller the other on a theme of Mozart are his most lasting achievements. The theme of Mozart is taken from the first movement of his piano sonata in A K331, which is also in variation form. On the surface Reger’s composition couldn’t be more different from Mozart’s urbane classical style. However, despite the obvious differences in the harmonic language, there are many undeniable similarities. Mozart’s theme, and all his variations are constructed using two balanced phrases. The first is an eight bars long, and the second is a ten bar reply. Mozart consistently repeats each phrase. With the exception of variations five and eight, Reger also follows this pattern exactly. He does not use direct repeats but presents the same material with contrasting changes in orchestration. The first variation does not depart from the harmonic outline of the theme, and, like Mozart weaves a tapestry of decoration around its skeleton. Reger’s eighth variation, analogous to Mozart’s fifth, is slow and reflective, with an improvisatory quality about it. The fugue that ends the work is however a complete departure from Mozart and seems to draw more directly on Brahms for its inspiration. The fugal idea is introduced by the first violins and passes round the orchestra building in complexity and detail until finally Mozart’s theme returns triumphantly in blazing orchestral colour. Reger's Variations and Fugue on a theme by Mozart was performed by the Portobello Orchestra on the 9th December 2006. The conductor was Anthony Weeden.